Big Brother evicted Haleigh Broucher and Brett Robinson from the house during a special live double eviction during Thursday night's Season 20 episode on CBS. The Big Brother broadcast began on Day 83, with Haleigh crying about how her back was against the wall and she had no more cards to play. Haleigh assumed she was going home and there was nothing she could do about it. The Head of Household, Kaycee Clark, also noted it was definitely Haleigh's time to go since this was her third week in a row on the chopping block. "Level 6" then sat down to chat about what their next move was going to be after Haleigh. Since they were running out of options other than JC Mounduix and Sam Bledsoe, Angela Rummans volunteered to go up on the block as a pawn for her alliance. "Clearly, she feels really safe. 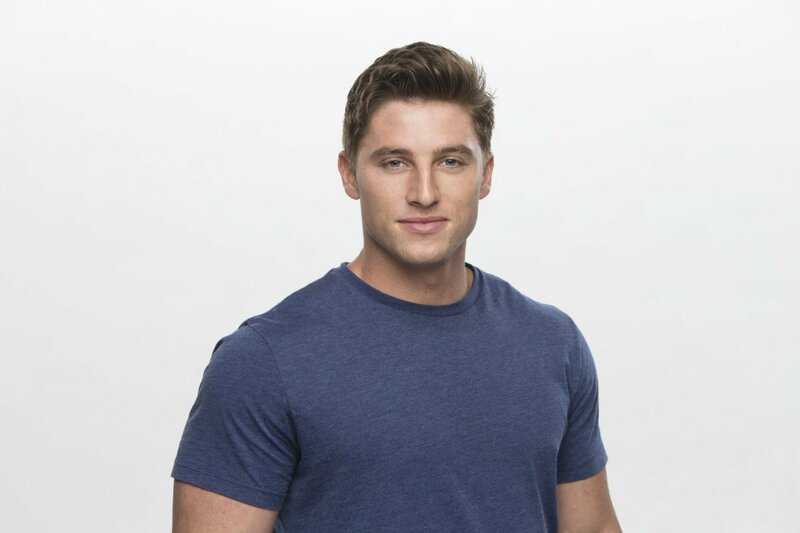 I've been nothing been nothing but loyal to Level 6 and that was my plan the entire game, but it could be time for me to take the first shot," Brett said in the Diary Room. Tyler Crispen spoke to Brett afterwards about how they'd be facing some very bitter jury votes. Brett told Tyler that if he took Angela out of the game, he'd make the jury very happy. Tyler had a Final 2 deal with Brett and Kaycee, not to mention he was in a showmance with Angela. However, Tyler admitted he had to flip the script on Brett because he couldn't beat him in the end. Brett was first on Tyler's pecking order, although he told Brett that Kaycee had to be "the first to go" given she's a competition beast. Tyler then warned Kaycee that Brett had thrown out her name. Kaycee hoped to beat Brett to the punch. "Kaycee has been my No. 1 this whole game and I think Brett is really good at talking and the jury might be just so surprised that he made it so far that they'd give him their vote. I just don't feel comfortable sitting next to Brett in the end," Tyler told the cameras. "Brett might actually have to be the first one to go, maybe even before Sam and JC." Julie then surprised the house with news of a double eviction. In their speeches, Haleigh and Sam both expressed how they didn't want to leave the game yet, and Haleigh noted she had a lot to offer the houseguests if they decided to keep her. But in a unanimous 4-0 vote, Haleigh was evicted from the Big Brother house. Haleigh told Julie in her post-eviction interview that her game went downhill once she exposed herself as the "BB Hacker" one week in order to protect her pal Bayleigh Dayton. "I couldn't sit there and listen to her suffer and truly just feel conflicted and sad and miserable and it was my fault. I couldn't do it," Haleigh said, adding that her HoH week was also pretty terrible. Haleigh also noted Faysal Shafaat is awesome and he's a great guy. She was "definitely ready" to see him in the jury house. When listening to her goodbye messages, Haleigh learned Brett had thrown her under the bus by telling Kaycee and Angela that she was still gunning for them. Kaycee and Angela both said they could thank Brett for her ouster. It then became time for the next Head of Household competition. The houseguests sat down on the couch and watched a video of some highlights from the summer, which included several of the biggest competition flubs and mistakes this season, such as when Angie "Rockstar" Lantry gave Tyler the correct answer during Otev's Power of Veto competition. For the competition called "Buffering," those clips were played back but stopped at a certain point, and the players had to pick "A" or "B" type of answers in order to explain what happened next. In the end, Tyler became the new Head of Household, and he was given just a few short minutes to strategize. At the Nomination Ceremony, Tyler announced he was nominating Sam and JC for eviction. But the pair had a chance to save themselves in the subsequent Power of Veto competition dubbed "Block and Roll," which required each player to strategically place colored blocks on a game board so that when they'd drop a ball down their tube, it would bounce off the blocks and land in a target. If a houseguest failed, he or she could reposition the blocks and roll again. In order to win, the person had to have rolled his or her ball through the tube first. Angela won the Power of Veto and told Tyler and Kaycee that she planned to take JC off the chopping block and orchestrate a blindside. Brett asked Angela if Sam was the target, and she said yes. The Veto Meeting then commenced, and Angela announced, "I would like to use the Power of Veto on JC, and I call this move just being one step ahead." As Head of Household, Tyler therefore had to name a replacement nominee, and he told the group, "I call this being two steps ahead. Brett, take a seat." Brett appeared hurt and disappointed, while JC had a look of shock on his face. Brett and Sam each had a chance to address the houseguests. Sam said she wouldn't change a thing about her game if she stayed, and the Brett admitted he was blindsided but he understood his friends needed to make "a game move." Brett was hoping to ride with his pals to the end of the game, but he realized he was a threat to them all. Brett was then evicted from the Big Brother house in a unanimous 3-0 vote over Sam. Brett still loved his fellow houseguests and asked them to pack his bags for him. "You got played, son," Julie noted in Brett's post-eviction interview. Brett didn't have a good answer as to why he didn't expose "Level 6" in his final speech. He was hoping to tug at their heartstrings a little bit so they'd take out Sam instead. As for why he targeted Kaycee and Angela so early when they were alliance members, he admitted, "I know I can beat JC and Sam. I don't know if I can get to Final 4 and beat Kaycee and Angela." Brett added that he felt most betrayed by Tyler. "He was my Ride or Die. He was my loyal wingman. I was loyal to that until the end, never even thought about betraying him," Brett confessed. "We actually slept in the same bed the first night... I know when I made that Final 2, I either solidified myself with Tyler or shot myself in the foot. And I shot myself in the foot." Brett told Julie that he was upset; however, he respected the gameplay. He's not sure whether he will vote emotionally come finale night. 'Teen Mom OG' star Catelynn Lowell and Tyler Baltierra have a baby on the way! 'Big Brother' Season 20 houseguest Angie "Rockstar" Lantry is engaged!